The Gigabit EdgeSwitch ES-5XP 24v PoE is a managed switch designed to deliver Power over Ethernet (PoE) on the 10/100/1000 ports you have configured for PoE. It also features a variety of features, including port monitoring, system connection and management services, Virtual Local Area Network (VLAN) configuration, Spanning Tree Protocol (STP), Ping Watchdog, and alerts setup. 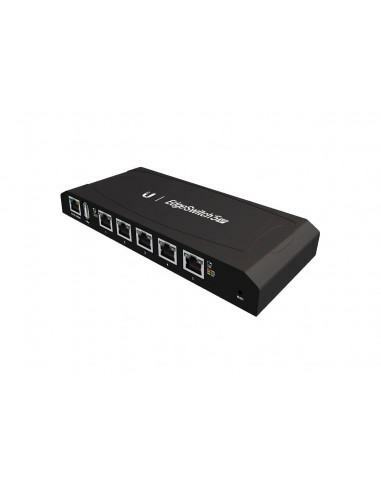 The Ubiquiti EdgeSwitch ES-5XP 24v PoE intuitive interface allows you to conveniently manage your EdgeSwitch using your web browser.